Properly maintaining pool water chemistry is perhaps the most important aspect of maintaining a swimming pool. Proper water chemistry is required to keep a swimming pool safe and clean for swimmers. Maintaining a swimming pool's chemicals can save pool owners hundreds of dollars per year, and endless hours of time. 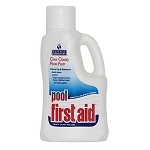 Sanitize your swimming pool with chemical chlorine(cl), which is dissolved into your swimming pool water. Or, consider using bromine instead. Although cyanuric acid (isocyanuric acid )stabilizes the chlorine level, it does it at the cost of reducing the effectiveness (ORP-Oxidation Reduction Potential) of the chlorine. Maintaining a proper pH level can be just as important as having chlorine in the pool at all. 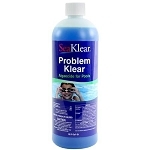 Granular acid or pH Minus or Decreaser is "safer" to use alternative than Muriatic Acid.